Arguably, this is the most important question and often the most stressful part of planning any photo shoot. What to wear? So, today our focus is on the guys. 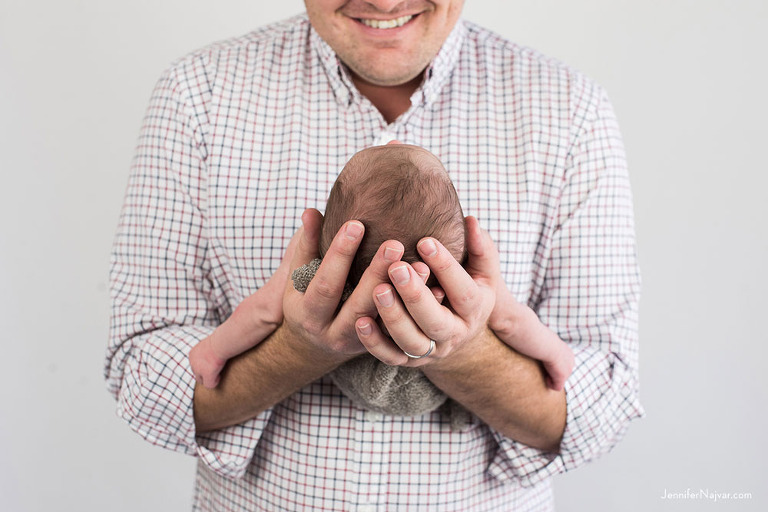 Here are a few tips to help the men pull it together for a maternity or newborn portrait session. This is usually mandatory for Summer sessions in the Austin hill country when the temperature could easily exceed 100 degrees. You want to make sure if you’re dripping with sweat, your shirt doesn’t show it. It’s also a good idea to bring along something extra to coordinate with your wife’s wardrobe changes. And, you never know which outfit you’ll like best until you see them in a photograph, so bringing a little variety to the session is a great idea. It’s also a good way to incorporate different looks, something casual and something more formal. Solids are simple and classic and they never go out of style. Remember, we want the focus on faces and particularly for a maternity or newborn session, on the bump or on the baby. 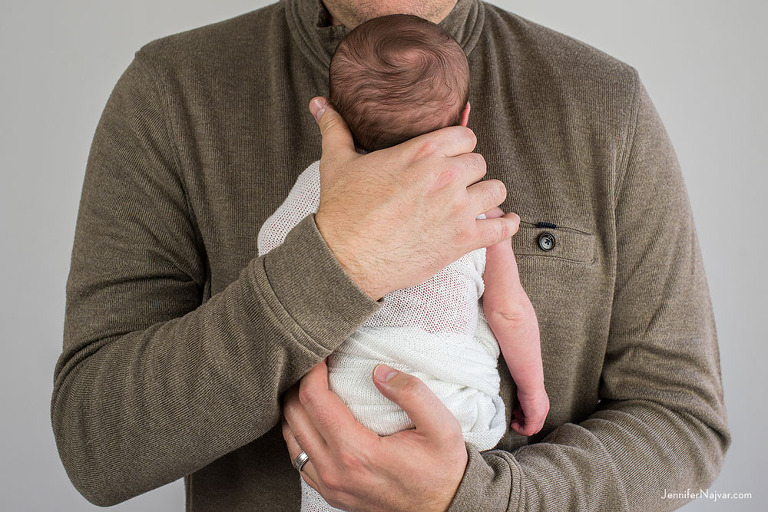 For the super style-savvy new dad, you may be able to bring in pieces that are more eclectic and fashion-forward, but for everyone else, keeping patterns to a minimum is usually the safest bet. Plaid and gingham are both great examples of a pattern that will photograph well since both have a uniform design (as opposed to a Hawaiian shirt with large florals, for example). Avoid clothing with words. And absolutely no logos. Ever. You cannot go wrong with a neutral color palette. That means shades of grey, white, ivory, cream, tan, beige, brown, even olive. Consider your skin tones when choosing what works best for you. Fair skin usually looks great in darker neutrals (charcoal, dark brown or olive) and may look washed out in lighter colors (tan or white). When in doubt, choose something that contrasts with your skin. Whatever your style — a tee-shirt and shorts or a suit and tie — the most important thing is that it fits you well. Avoid any clothing that’s too big. Fitted or tailored items work best. Shirts, whether they’re tucked in or not, should fit just right — snug but not too small, obviously. Sweaters, cardigans, and long- or short-sleeve button downs generally work great. If you’re not a tucked-in kind of guy, any of those options would be perfect out, but stay away from a short-sleeve polo left untucked, as they tend to slouch and bunch up at the bottom leaving you looking a little disheveled. The same rule applies to shorts — avoid baggy, oversized cargos, and opt instead for something more like fitted chinos. Layers are not always the most feasible in the Texas heat, but when the season is right, men’s cardigans or knit sweaters layered over a tee or a button down, a fitted coat or jacket, or a textured scarf all add interest. Corduroys make a great choice for Fall or Winter (they’re usually very good at hiding any wrinkles), and denim adds a ton of texture and works in any season. Be careful with khakis, particularly light-colored khakis. They tend to show every last wrinkle. A stiff collar, standing up straight, is a must for collared dress shirts. Your shirt doesn’t have to have a collar, but if it does, it should not be floppy. If the collar falls unevenly, it can make your outfit look messy, and that’s generally just not the best look in a portrait. This is not an issue with men’s sweaters with necklines that can vary widely from a turnover collar to a shawl, for example, which look great on camera and just generally make everyone look smart and put together. Everything you wear should be freshly cleaned and pressed. We can correct a lot in the retouching process when necessary, but a pair of wrinkled trousers is not easy to address. Remember to use a lint brush, especially if you’re wearing dark colors — the camera sees every detail. Go easy on the accessories. Jewelry should be kept to a minimum. A sunset maternity session has an earthy, organic feel, so fewer accessories work best. You won’t regret going minimal. 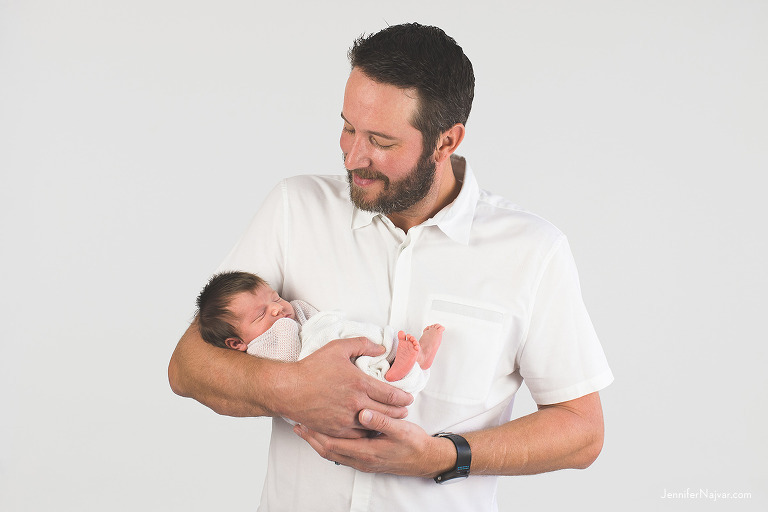 And particularly with newborn portraits of new dads holding new babies, we like to highlight the skin on skin, keep it organic and natural and simple, and accessories can really distract from that. Ditch the undershirt, especially if it shows at the neckline or you’re wearing white on top of it; we don’t want to see it. And empty your pockets; you don’t want the outlines of phones, keys, sunglasses or wallets memorialized in your images. Before your photo shoot, check out our ‘Men: Photo Shoot Wardrobe Inspiration’ board on Pinterest to find some great inspiration. Jennifer Najvar Photography specializes in Sunset Maternity photography in the Austin hill country and natural newborn portraits in the studio. Newborn sessions take place within the first 14 days after your baby’s arrival. If you’re interested in reserving your newborn or hill country sunset maternity session in Austin, Texas, contact us to start planning. We would love to hear from you. I'm Jennifer, owner and photographer, and I would love to help you plan a sunset maternity session in the Austin hill country, or beautiful, natural newborn portraits in our studio — or both. Working with mamas and babies is our specialty, so I hope you'll take a look at our recent work and all we have to offer, and we hope to hear from you very soon.